Exciter is a 365WB50. Dichroic mirror is a 400DCLP. Emission (barrier) Filter is a 450AF65. 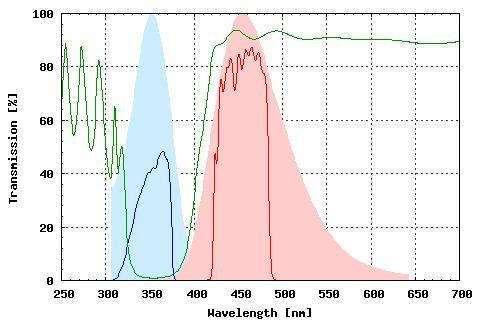 Absorption and emission spectra is for Hoechst 3258 fluorochrome.